PLYMOUTH Argaum claimed the Devon One title with a hard-earned 20-15 victory over second-placed Plymstock Albion Oaks at Bickleigh Down. 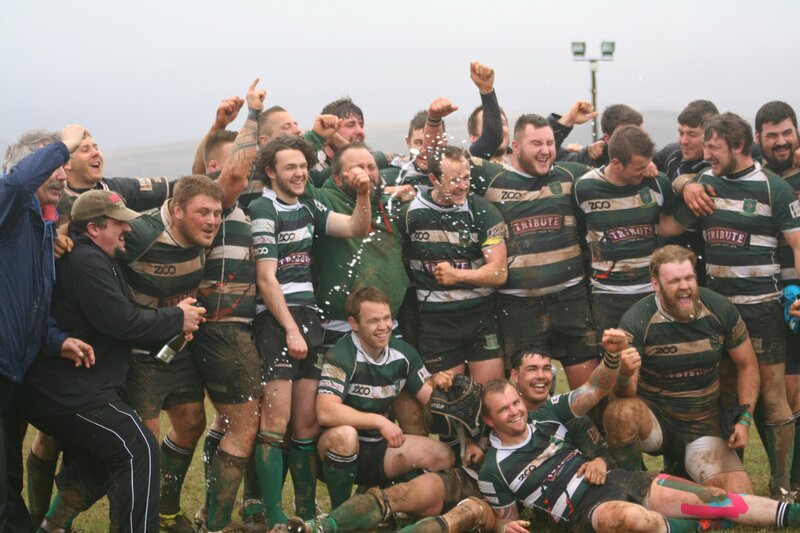 It is Argaum’s second successive league crown, having won Devon Two last year. They will now be plying their trade in the Cornwall/Devon League next season, where Oaks will still be hopeful of joining them. Plymstock go into their final match against third-placed St Columba & Torpoint knowing just a bonus point or denying their visitors four tries will guarantee them runners-up spot and a promotion play-off place. If Oaks play like they did on Saturday then they should secure promotion. They had more than their fair share of possession and territory at Bickleigh Down, but Argaum defended brilliantly and just had that cutting edge at the other end of the field to seal the four points. Argaum had made an impressive start to the must-win game, storming into an 8-0 lead thanks to a Jake Turfrey try and a penalty. But after that Oaks enjoyed the better of the first half. They had chance after chance but just could not get over the line. However, with half-time approaching and after a number of five-metre scrums, Oaks finally did get over the whitewash to go into the break just three points behind. They levelled the game straight after the interval with a penalty but Argaum then stepped up a gear and scored a second try through Jamie Burton. The home side were then held up over the line before they got a third when Paul Ansell crossed in the right corner and his effort was brilliantly converted. That left the score at 20-8 and Argaum looked like they were on their way to victory. But Oaks set up a storming ending and a nervous few minutes for the home team, after they were awarded a penalty try following some good pressure on the line. Plymstock finished on the attack but Argaum just managed to hold on, much to the delight of their players and supporters. Oaks’ players walked off the pitch pretty down but they would not have known then that Old Techs had done them a major favour by pulling off a shock 6-3 win at third-placed St Columba & Torpoint. Unfortunately for Old Techs their great victory is not likely to prevent them from being relegated. However, it does mean Oaks are five points clear of St Columba going into that final day meeting. Meanwhile, Ivybridge may have lost 30-23 away at North Petherton but they picked up two bonus points that all-but secures them runners-up spot in South West One West. Ivybridge’s hopes of securing a play-off spot for the chance to be promoted into National League rugby were boosted by third-placed Bridgwater’s defeat at Matson. It means Ivybridge are 10 points clear of their Somerset rivals with just two games to go. The only way Bridgwater could overtake them is if they pick up two bonus point wins and hope Ivybridge don’t collect a single point from their last two fixtures against Cleve and Clevedon. In Western Counties West, Tavistock pulled off a great 38-31 home win over Penyrn. It was their third victory in four games but their revival looks like it is going to be two late as they are nine points behind third-from-bottom Torquay with just two games to go. The Cornwall/Devon title will go down to the final weekend after both Saltash and Crediton scored 45 points on Saturday. Saltash won 45-0 at Bodmin, while Crediton claimed a 45-9 home win over Paignton. The pair are locked together at the top of the league with two games to go. They are 19 points ahead of third-placed Withycombe. Next weekend, Saltash entertain Bude, while Crediton visit Pirates Amateurs. However, it’s the final round of fixtures where the title will be decided when the two teams meet at Crediton. There was disappointment for OPMs, who were relegated to Devon One after they lost 36-3 at Exeter Saracens. They join bottom side Liskeard-Looe, who did not fulfill their fixture at Falmouth, in dropping out of the league. In Devon Two, Tamar Saracens kept alive their hopes of claiming the league crown by hammering DHSOB 98-3 away. They are two points behind North Tawton with one game to go. That final weekend on April 18 will see Sarries travel to third-placed Salcombe and North Tawton head to fourth-placed Dartmouth. Plymton Victoria lost 45-0 at home to Salcombe. Tags: Devon, Plymouth, Plymouth Argaum, Rugby. Bookmark the permalink.